Lunch special at Tara Thai, originally uploaded by ShashiBellamkonda. 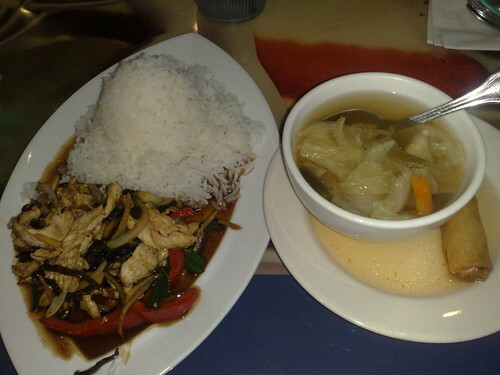 This is ginger chicken lunch special.which tasted very well. I was disappointed that the service person brought the soup, spring roll and the entree together for me when the other two people with me had not got their food ( only the lunch special comes with soup and spring roll) The restaurant had only one other table so there was really no excuse.